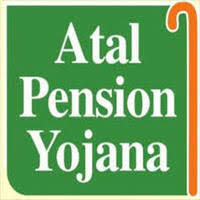 Finance Ministry said that Govt has allowed Small Finance Banks and Payments Banks to offer Atal Pension Yojana,APY. Finance Ministry in a statement said, 10 Small Finance Banks and 11 Payment Banks have got license from Reserve Bank of India to start banking operations in the country.Ujjivan Small Finance Bank, Janalakshmi Small Finance Bank,Suryoday Small Finance Bank, India Post Payment Bank and Paytm Payment Bank are also on the list. The Ministry said, given the strength, expertise and reach of these new age banks, they can play a pivotal role in outreach of subscribers under APY.